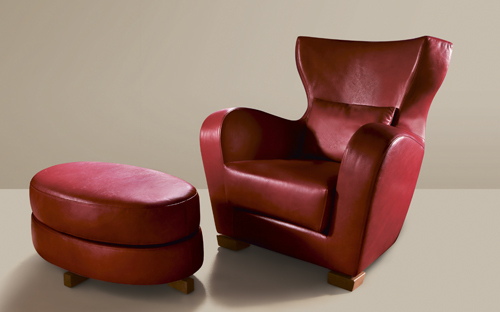 Designed by Marco Agnoli and handmade by our master Italian craftsmen. Its design, simple but with the attitude of the protagonist, perfectly mix and communicates strength and elegance at the same time. 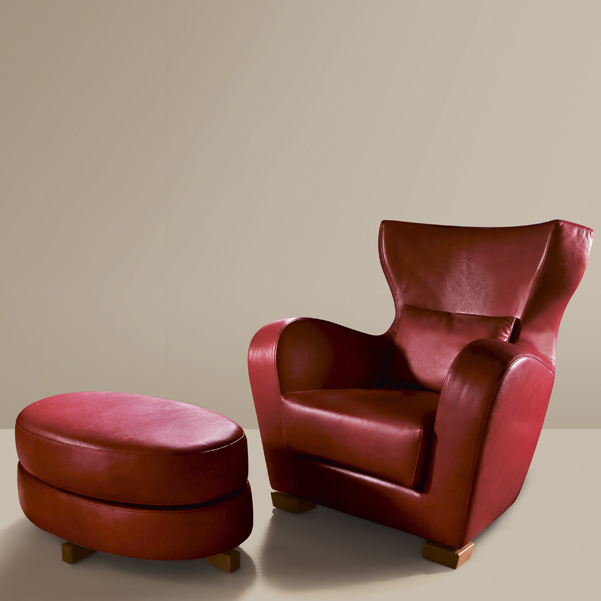 “Savoya Alto” Armchair with its roundness, reminds typical style of the fifties which have been evolved to our time while respecting the memory and the feeling of something important and valuable. 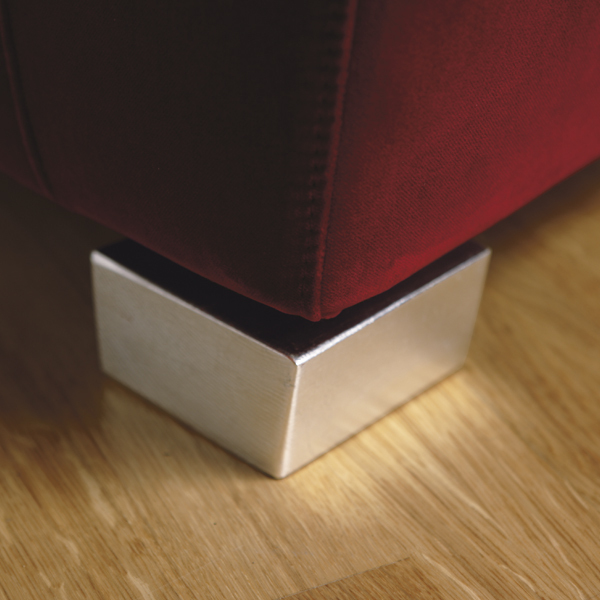 Its mood is a fusion of classic and contemporary taste and it is suitable for high-end residences. In a few words simply excellent for living areas to be lived with full relax and in a unique, warm and cozy atmosphere. 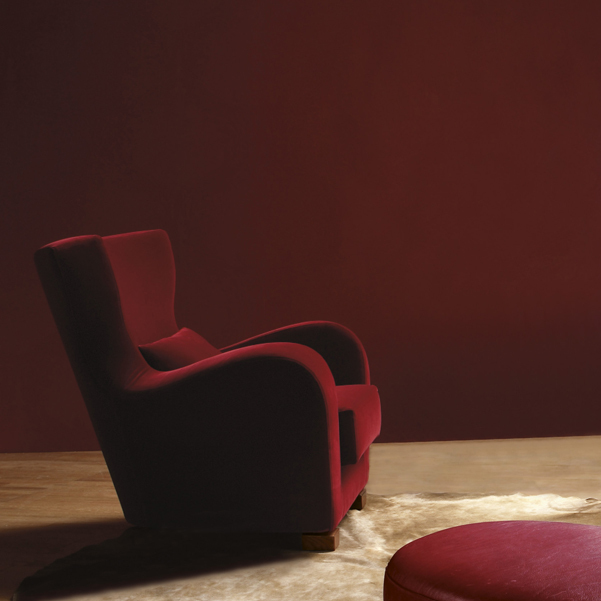 With its beautiful and ergonomic design this armchair offers untold comfort levels. Simply... Fantastic! Fabric or leather are both suggested to be used as final covering. To select covering from our Fabrics and Leathers collection please register into TRADE AREA sector and please pay attention to fill all information marked with *. You can also use your own fabric (C.O.M.) or leather (C.O.L.) and in this case we please ask you to send us a sample in advance in order to check if technically suitable. To check needed quantity please refer to “specification” below. 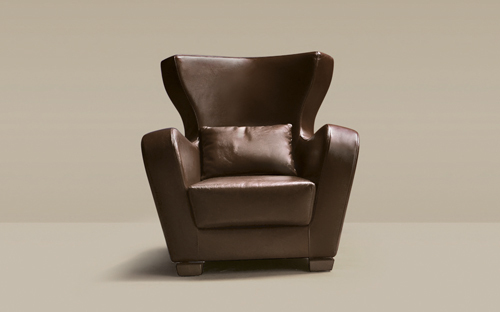 This sophisticated and softly rounded design Armchair is the testimonial of modern and elegant luxury. Its refined figure is created with a firm solid wooden frame which is upholstered with multi-layer polyurethane foam and it is covered by a second white color and double thickness protective fabric. 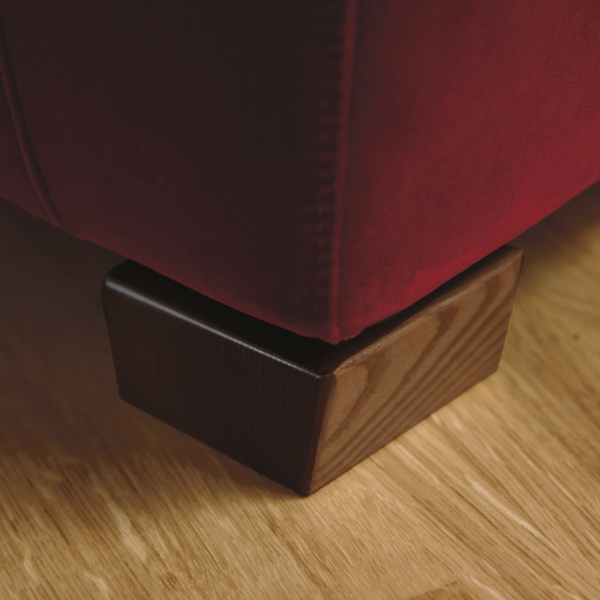 High resiliency polyurethane foam ensures excellent comfort of the seat cushion. Backrest loose cushion is upholstered with certified and guaranteed down and it is protected by natural color cotton lining before final covering. 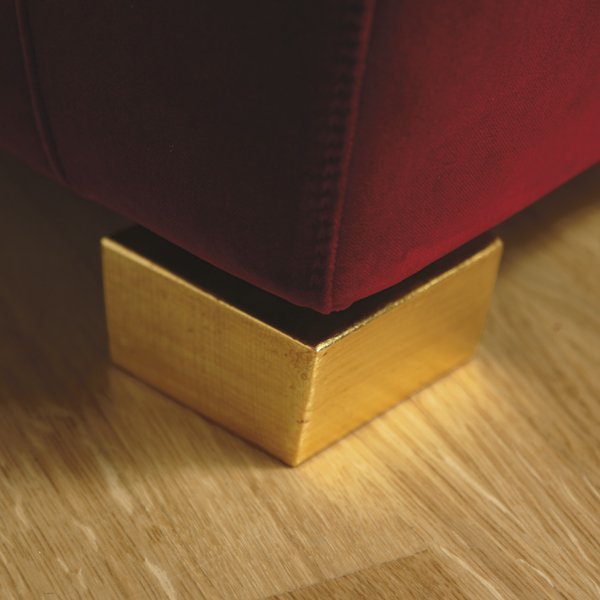 Rich of valuable handcrafting details. As final covering natural velvet fabric or leather are both appropriate. 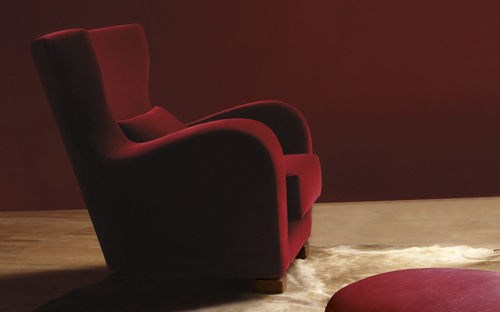 To maintain its original elegance, we suggest to cover “Savoya Alto” Armchair with 50'S typical color fabrics. Otherwise if you wish to add more richness and glamour to your living, you can select one of classic colors of our genuine Leathers which are extremely soft and smooth. Seat cushion is made with multi-layers densities of high resiliency polyurethane foam, covered with a white color cotton fabric as second protective cover. 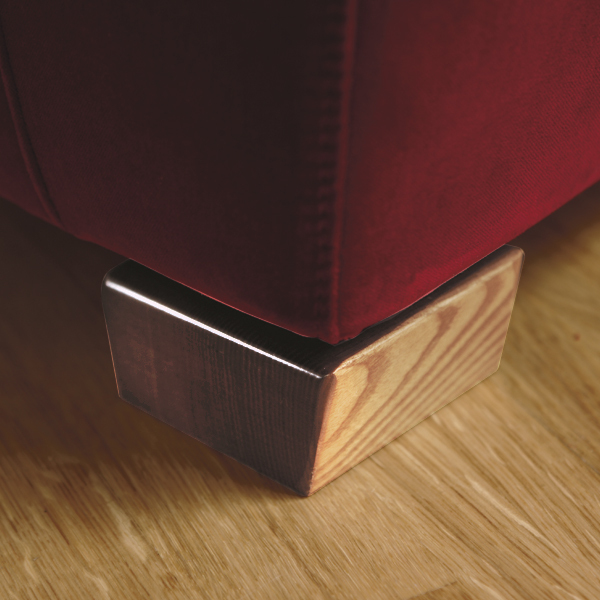 Also frame is upholstered with multi-layers densities of high resiliency polyurethane foam to ensure longer life possible maintaining original comfort. 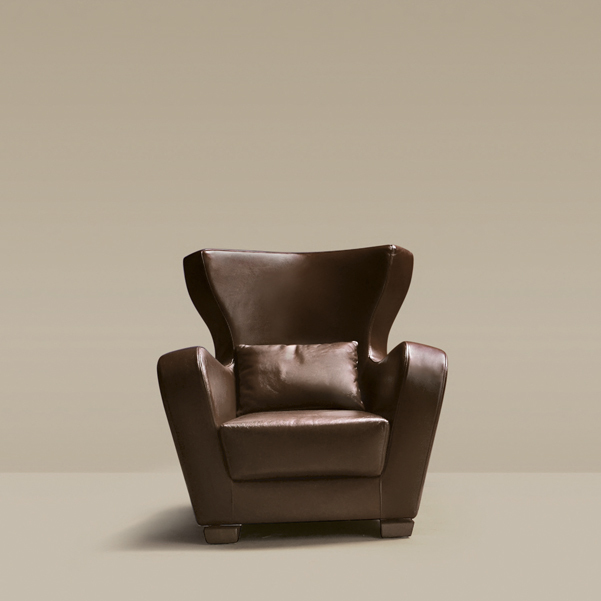 Armchair: W. 93 cm. x D. 99 cm. x H. 98 cm. Seat Height 41 cm. Footrest oval shape: W. 82 cm. x D. 50 cm. x H. 35 cm. For bespoke on demand please ask to Concierge. Fabric cover can be taken off for dry cleaning. Quite easy to remove it and to put it back. Washing fabric covers please follow instructions you will receive together with your armchair. Our quality Genuine Leathers are rich, soft and naturally processed. Please avoid to expose leather to the sun light and please also keep it away from heat sources. Concerning Genuine Leathers Nabuk: surface is not protected by artificial substances and by using the product leather will assume a “lived-in” look typical of genuine natural leather. We suggest dusting regularly with a soft and dry cloth.